At last, Get The PROVEN ROADMAP That Will Enable You Take Charge, Hit The Ground Running From Day One, Up Your Impact and Prove Yourself Faster! Congratulations! You’re the new HR leader. Now what? Well, for one, it’s time to GAIN RESPECT and PROVE YOURSELF. YOU are expected to START STRONG and hit the ground running. YOU are expected to START STRONG and establish yourself in the organization. YOU are expected to START STRONG and proactively close any knowledge gaps. YOU are expected to START STRONG and navigate the politics. YOU are expected to START STRONG and wow your clients. YOU are expected to START STRONG, lead and build trust with your direct reports. YOU are expected to START STRONG and deliver the results you were hired to provide. You CANNOT rely on your boss or the organization to take charge and do ALL this for you. Sure, they can provide some resources, guidance and they will. But they’re busy too and don’t have time to hold your hand. This is ALL on YOU! Why? Because they brought you aboard to be a LEADER and that’s what you’re being PAID to do! According to SHRM, 31% of all new HR leaders FAIL within their first 18-24 months, primarily because they didn’t effectively take charge when they first started their new role. And even those HR leaders that DO succeed massively will tell you that their success is determined primarily by what they accomplish in their crucial first 100 days when they first started. Can failure happen to you? Of course it can, if you don’t have a game plan for success, starting on day one. However, relax, you got this. 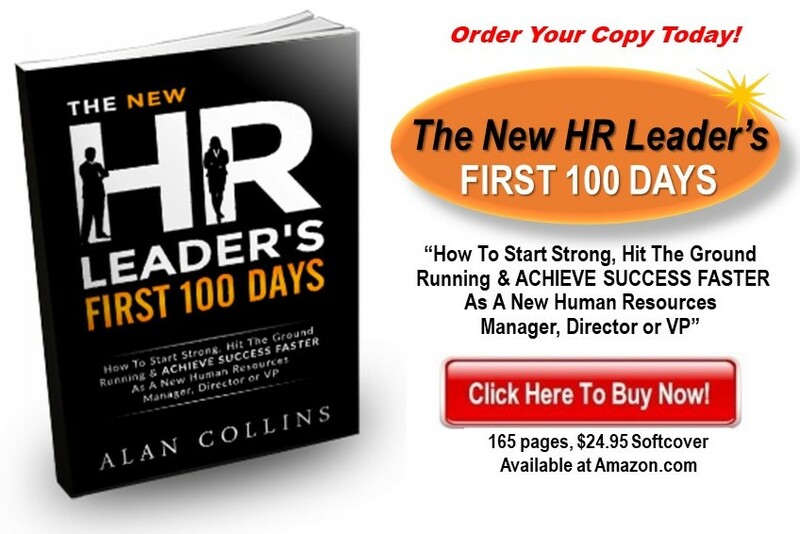 The New HR Leader’s First 100 Days, is your ROADMAP. Now you can take charge with confidence. Hit the ground running from day one. Gain respect, up your impact and prove yourself faster. 15 PROVEN RULES followed by the most successful HR managers, directors and VPs to avoid derailing and to SUCCEED MASSIVELY during their critical first 100 days in their new role. This book is a one-of-a-kind, underground playbook developed just for human resources professionals. It is for you if you’re an HR Manager moving into your first leadership position. Or if you’re a newly promoted Director in the talent management arena. Or if, you’re an experienced HR VP in a Fortune 100 company. It doesn’t matter, if you’re an HR leader, you’ll want this book! Imagine showing on day one with a game plan for crushing your first 100 days in your new HR role. Now you can make this happen! The New HR Leader’s First 100 Days is packed with winning strategies for onboarding yourself, easy-to-follow steps, real life HR case studies, shortcuts, talking points, questions to ask, critical conversations to have, and crucial actions to take — all of which will save you time, angst and will prepare you to become productive in the fastest time possible. This is for the busy HR professional who doesn’t have time to wade through theory — but just wants to know what works! How to make an immediate powerful first impression as a new HR leader! The secret lies in the steps you take before your arrival — they’re ALL revealed here. How to turn your business leaders and NEW CLIENTS into raving fans. Discover the tips, tricks, shortcuts for making this happen with even your toughest and most demanding clients. The SIX kinds of critical conversations you must have with your boss. Some of these conversations are not pleasant to have…but failure to neglect ANY one of them can doom your career. How to craft your very own ONBOARDING SUCCESS PLAN that fits your situation that will get you up to speed fast. You don’t have to go it alone — just use these insider tips or model yours after the best practice example provided. How to take charge and build a committed team of direct reports and ignite the fire within them — even those who felt they should have had your job. A never-before revealed, comprehensive tool you can use to cut your Human Resources learning curve in half and learn your new role faster. Use this tool in any organization — large or small, profit or non-profit, global or local. In fact, the more complex the organization, the better this tool works. The ONE single most important relationship you must build for success in your first 100 days. A shortcut and amazingly simple tool for quickly identifying and get on top of your key HR initiatives, priorities and projects — and stay on top of them. Save yourself lots of time, angst and worthless meetings. How and when to make the brutally tough decisions on cutting your staff, adding new people or dramatically reorganizing your HR team. Your timing and approach means everything in handling this delicate situation. How to build trust, win over and impress business leaders by using this one secret. The Strategic Focus document that will enable you to know the business cold and how your new HR leader role fits. Learn what it is and how to get one. Ten warning signs that you new HR job might be in jeopardy and how to address them. Templates, examples and downloadable tools developed just for HR professionals to accelerate your success. Full of sage advice and practical suggestions. The 15 rules (actually 17) will help any HR leader avoid the hidden pitfalls when starting out. I was blown away by the “HR Onboarding Accelerator.” This alone will save me lots of time in learning the HR aspects of the organization — and worth 100 times the cost. Thanks Alan Collins. I’ll never start another new HR job without it! I read this right after assuming my new job and first HR VP position. Coincidentally, my GM asked me for a plan for my first 90 days. Too bad I didn’t have this sooner, it would have helped me create a brilliant plan — much better than the one I wound up creating. However, I’m now using the book to fill in some gaps and enhance the plan I have. I’ll never start another HR job without re-reading this book. VP HR Operations, Applied Chemical Co.
A great resource for new HR Leaders! This book delivers with great strategies and ideas that will help any new HR leader make a strong impact right out of the gate. Everything that you need to achieve your desired results and to impress those you serve in HR is included in this book. All in a format that provides a wealth of information that is easy to follow, organized well and will make you feel like you have an edge in accomplishing your goals faster. As an HR leader myself who has experienced starting in a new role, there are lots of ideas in the book that I have used and new ideas for me that I will try in the future for even greater success in my role. I highly recommend this book. Loved the book! Could not have come at a better time. Easy to read and digest. I anticipate assuming a new position in the next six months and will follow just about all the Rules. I’m confident that they’ll put me ahead of the game. The first book you should grab after getting promoted. Spot on read! On boarding during the first 100 days in your new HR role is the deal maker or breaker. There is no honeymoon or grace period. Collins must-read book gives you the strategy, scripts and talking points you can use to achieve quick wins with your boss, clients and team. His practical real world examples pave the path forward to quickly establish your HR leadership credentials and make a powerful first impression. About the author: ALAN COLLINS is founder of Success in HR and author of two HR best-sellers, Unwritten HR Rules and Winning Big in HR. He has worked with and coached hundreds of HR leaders at all levels in his 25 years in corporate HR. 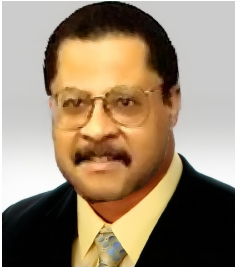 He was formerly Vice President of Human Resources at PepsiCo where he led HR initiatives for their Quaker Oats, Gatorade and Tropicana businesses. Today, he specializes in helping HR professionals take their careers to the next level. He earned his BS and MS degrees in Human Resources from Purdue. You can view his LinkedIn profile here.